A midsummer day in Big Meadows in Shenandoah National Park! Puffy clouds play in the sky and the expanse of open meadow provides room for the soul to breathe! 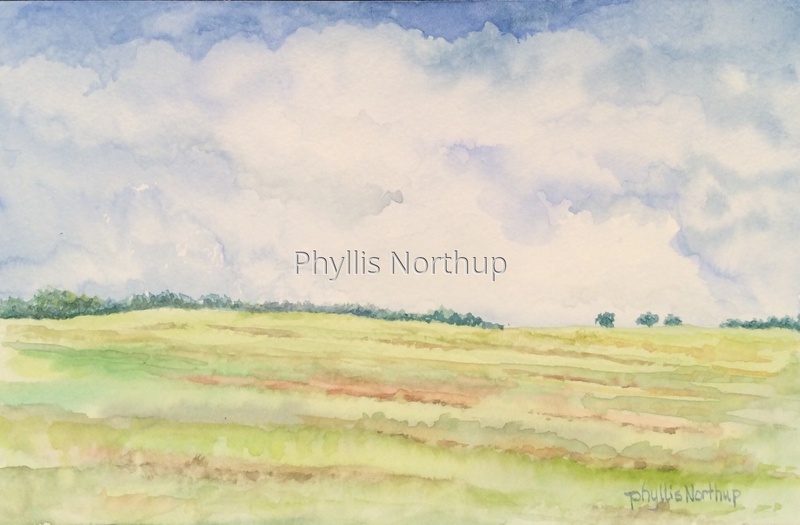 Original watercolor,matted and ready for an 8x10 frame of your choosing. This painting will be available at Middle Street Gallery, if you would like to purchase it, please contact me if you can’t get to the gallery.